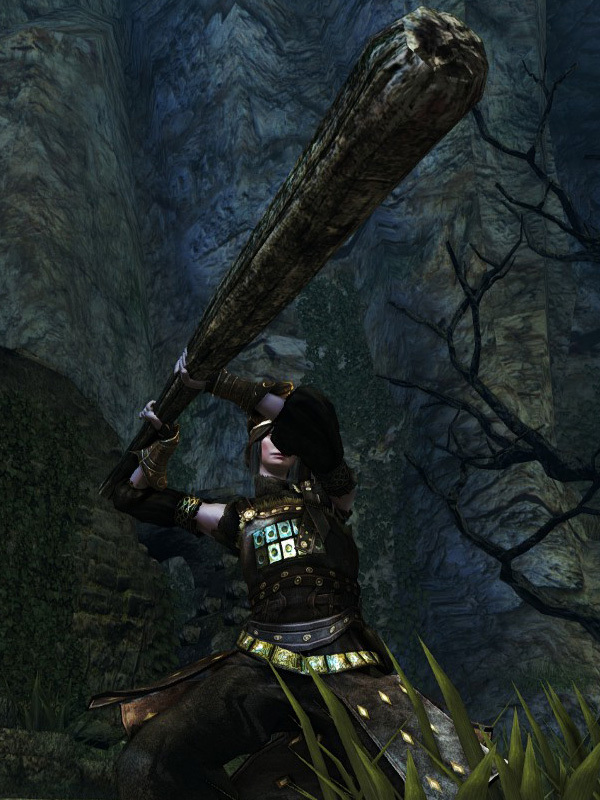 When this weapon is buffed with Rotten Pine Resin, its poison build-up per hit is increased. 1H R2 is replaced by a dashing horizontal swing. Large Club durability reduced to 25. Base damage increased. Cannot repair weapon (except through reinforcement). 29% STR, 74% INT scaling. 20% STR, 72% INT scaling. Unknown amount of additional INT scaling. 39% STR, 74% FAI scaling. 37% STR, 87% FAI scaling.